2001 Upper Deck Gallery #GG4 Tiger Woods in nmt condition. 2002 Upper Deck Pin Seekers #PS6 Phil Mickelson in mint condition. 2002 Upper Deck Stat Leaders #SL17 Phil Mickelson in mint condition. 2002 Upper Deck Green Room #GR10 Tiger Woods in mint condition. 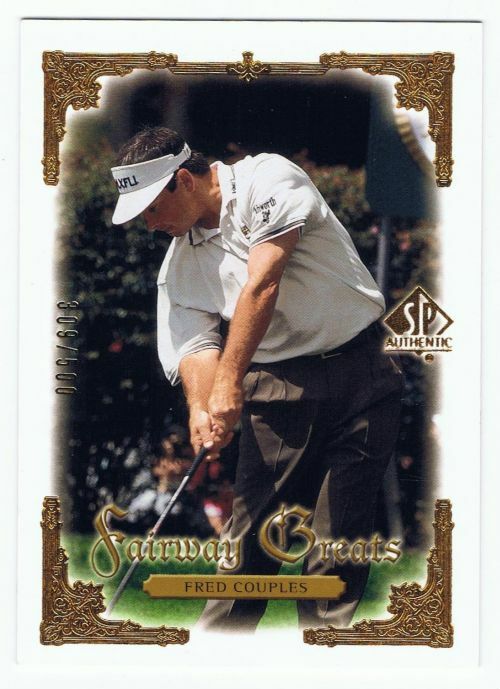 2002 Upper Deck Green Room #GR8 Jack Nicklaus in mint condition. 2014 Upperdeck Goodwin Champions #74 Rory McIlroy in mint condition. 2014 Upperdeck Goodwin Champions #64 Jack Nicklaus in mint condition. 2002 Upperdeck #1 Tiger Woods in mint condition. 2012 Sportkings Premium Back #236 Paula Creamer in mint condition. 2012 Sportkings Premium Back #234 Patty Berg in mint condition.